We had the pleasure of spending some quality time, talking to Christian Leppert, while at Haus Sonne. He invited us into his apartment adjoining the main house to talk about the green building technologies used in its construction. We ended up talking about so many fascinating topics that we left for the evening with our heads spinning. One of the things that struck a chord was the way in which technology is evolving in a way that reduces the need for us to use our own brains. Just as physical tools are extensions of our own bodies that enhance our capabilities, so too information technologies act as extensions to our own intelligence. As the owner of a digital agency, I’m acutely aware of the benefits that this can bring to us as individuals and as a smarter society. However, Christian, who’s been at the forefront of embracing new technologies at various times in his career, posed a simple question. At what point do the risks outweigh the benefits? In particular, at what point do we become so dependent on computers that we lose our ability to think for ourselves? How long after that will it be before the computers start challenging our free will? This might seem far fetched, but there are numerous everyday examples of this already happening. 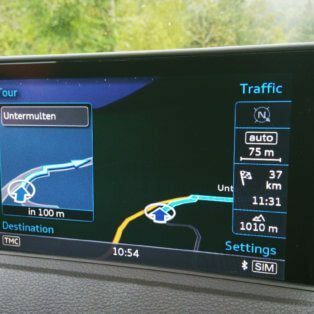 One of which is in the use of GPS for navigation. Many people in my generation can’t navigate by the sun, including me, or even read many types of maps. Until recently, we did generally manage to find our way around without GPS. Now that GPS has become common not just in vehicles, but in smartphones, we’re losing our ability to navigate on our own. Partly this is because of the use it or lose it principle, which means that our skills fade away when they’re not regularly used, plus the fact that we gradually lose confidence in our abilities, reinforcing our dependency on the technology. This lack of confidence doesn’t just lead us to use our satnavs more though. It also leads us to value the authority of the technology more than we value our own judgement. When the TomTom lady tells us to turn left, we turn left even in cases where we think or know that she is wrong. We’re no longer in the driving seat. We’re being controlled by the voice of a robotic woman. This is even before artificial intelligence becomes a widespread reality. We therefore need to find a balance whereby we use technology to help us achieve more, but only use it when we cannot do things by ourselves or when the benefits are significantly greater than the risks. We need to start scaling back our use of technology to remind ourselves just how much we can do without it, and how good it feels when we do. For Vineeta and I, satnav seemed like a good place to start. We’ve previously driven to places such as Austria and Budapest using only paper maps and sign posts, and we always got to our destination even if we did sometimes get lost and stressed. We only bought a TomTom because I went mad trying to navigate the one way systems of Antwerp, and wanted to enjoy my holiday. I still think that was a good decision that has saved me a huge amount of stress over the last couple of years, but now we use it to go everywhere and have become dependent on it. We decided that our first step to reducing our technology dependence would be to drive our rented Audi e-tron back from Haus Sonne in the Black Forest to the Hertz office in Central Basel. It’s a fairly simple journey, but spans two countries and involved navigating into a busy city to a location that we only knew from memory. Every turn we took correctly gave us a buzz of satisfaction and exhilaration. There were a couple of times when we got confused and nervous, but we kept going without resorting to the satnav. When we turned a corner and saw the yellow Hertz sign in the distance, I shrieked with excitement. We were over the moon. In all honesty, neither of us believed that we could still do it, and yet we did it without getting lost, and without ever using a map. Just road signs and memory. Buzzing with confidence, we decided to find our way across the city to our hotel that we had seen on our previous visit, but didn’t know the address of. Again, we got there quickly with no problems. 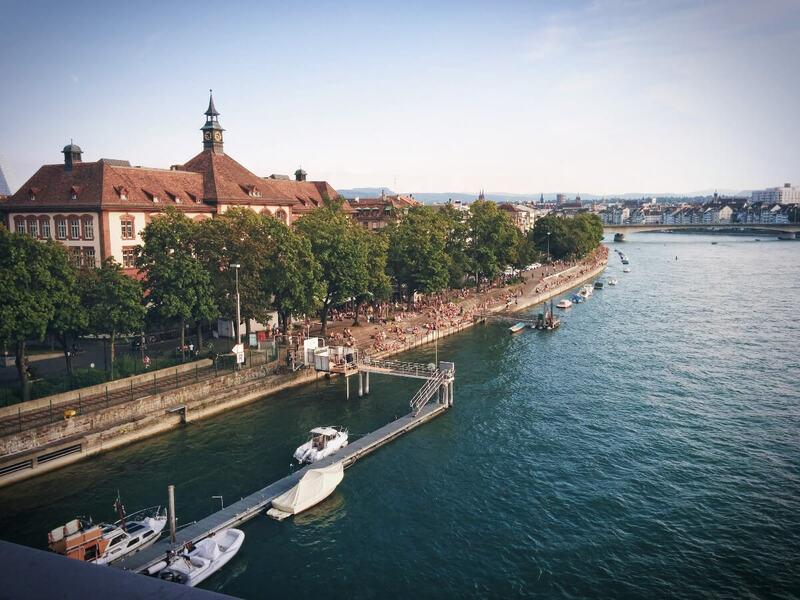 We continued without GPS for the remainder of our trip, and left Basel 24 hours later with a far clearer knowledge of the city and a huge boost of confidence. We tapped into a part of our brains that had been neglected in recent years and it felt good. I won’t be getting rid of our satnav, partly because we now have one that’s built into the car, but I will be using it much less often to help me only when I need it. I hope that isn’t too often.